LF is a devastating parasitic infection spread by mosquitoes. The parasites are thread-like worms (filariae) that develop in and then damage the human lymphatic system and associated tissues. It is usually contracted in childhood, often before the age of five. The lymphatic system is a network of vessels and specialised tissues that are essential to the maintaining the overall fluid balance and health of organs and limbs and importantly are a major component of the body's immune defence system. The adult worms live for an estimated 4-6 years, producing millions of immature microfilariae (tiny larvae) that circulate in the bloodstream and are found in the blood at night. 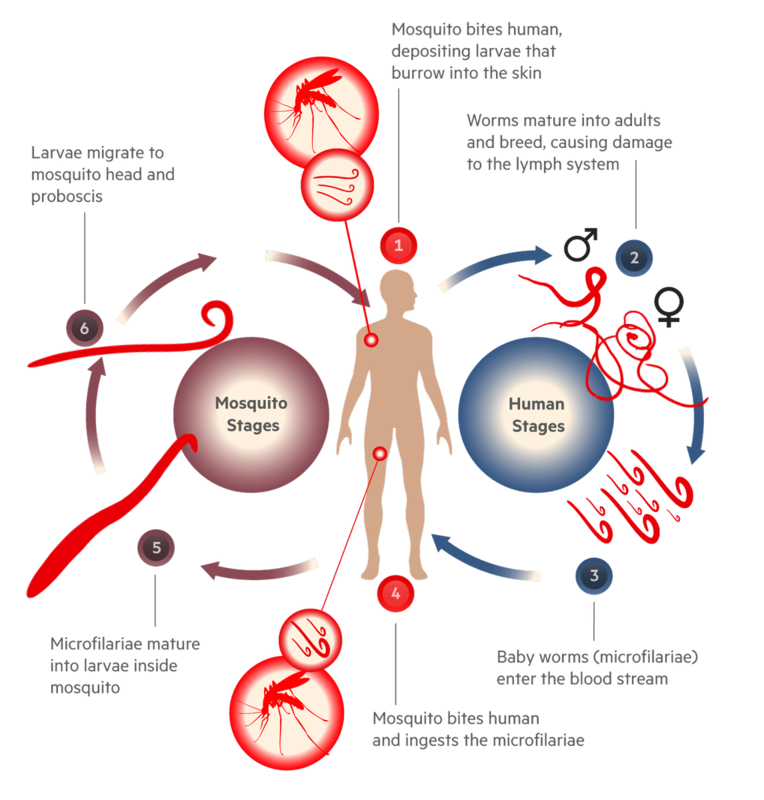 These are then picked up by mosquitoes when they bite and after further development to an infective stage in the mosquito will be transferred to another person when the mosquito needs another blood meal. After such an infected bite, the larvae pass through the skin, travel to the lymphatic vessels and develop there into adult worms.